Home › Promotions › Used Bike Blowout! 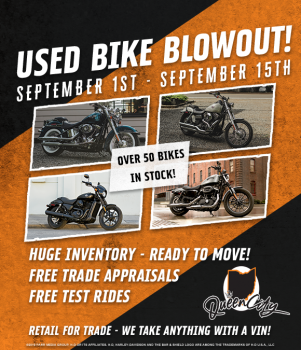 Now through September 15th, come out and take advantage of our Used Bike Blowout at Queen City Harley-Davidson! Over 50 used motorcycles to choose from!